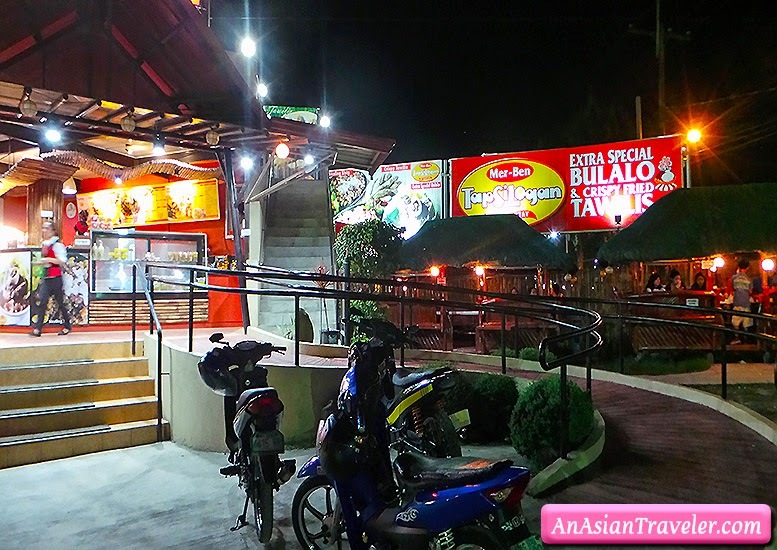 In Tagaytay, there are quite a number of bulalo-restaurant options to choose from particularly in Barangay Mendrez Crossing East area. 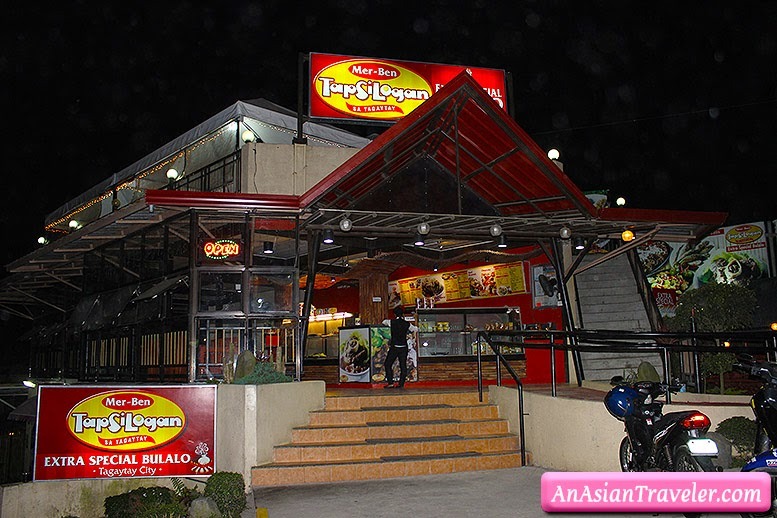 After searching and deliberating we decided to dine at a place called Mer-Ben Tapsilogan sa Tagaytay. 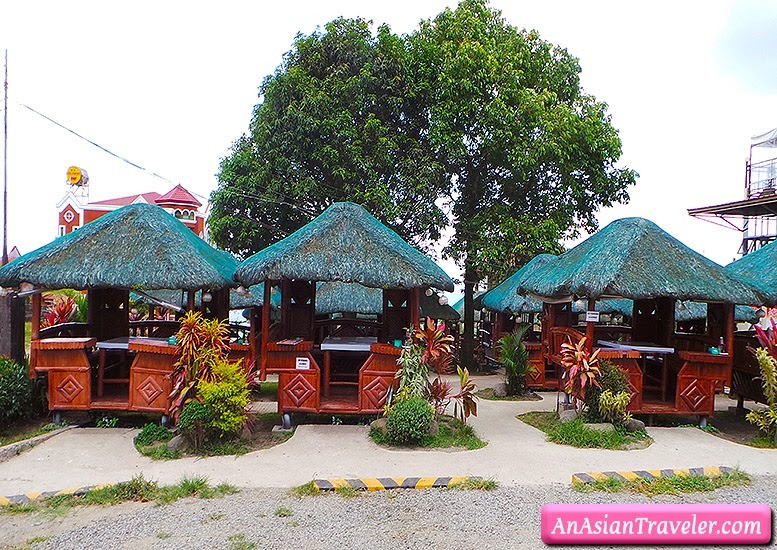 Aside from the non-aircon restaurant, one of the most noteworthy set ups here are the rows of nipa hut cottages. On the night we visited there were heaps of other diners but not totally occupied. 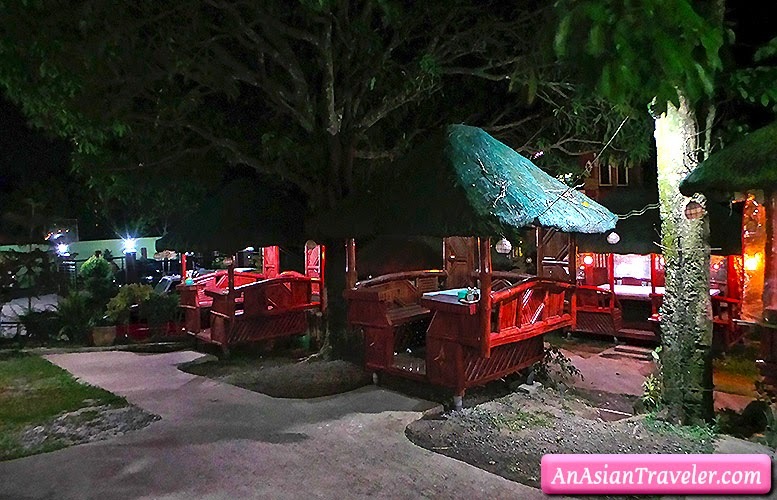 Mer-Ben restaurant offers different kinds of inihaw, specialties, fried, veggies, sinigang, platter and desserts. 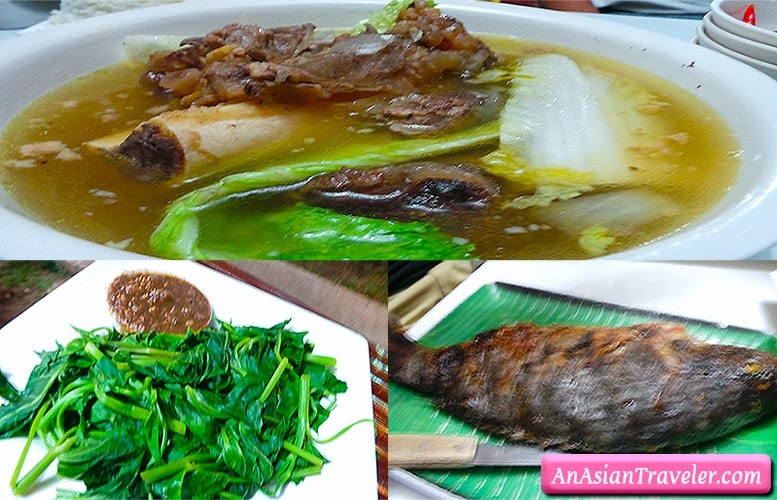 But we opted to have a large bowl of steaming Extra Special Bulalo, a beef-bone marrow-vegetable soup (P450), XL Tilapia (P200) and Adobong Kangkong (P120). The weather was a bit chilly that night and occasionally an intense gust of wind so I was relieved to be bundled up. We also had our breakfast here the following morning. They gave us a table in the veranda upstairs with a relaxing scenery. 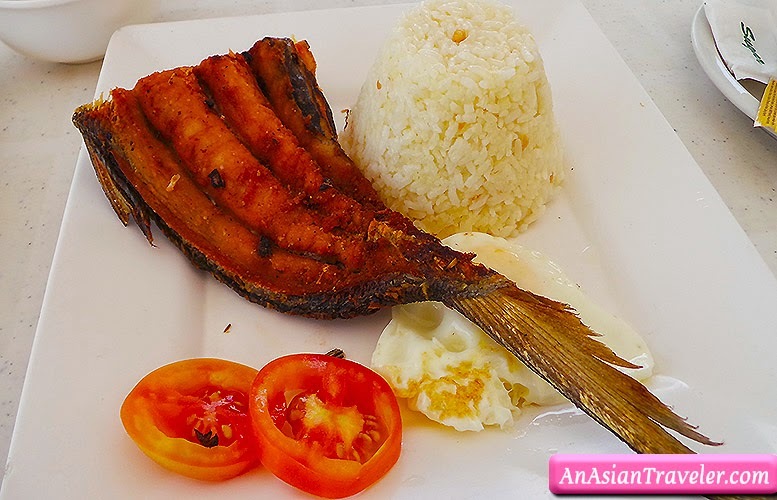 We had set meals of Tapsi such as Dasilog (P80), Chicksilog (P80) and Tapsilog (P80). 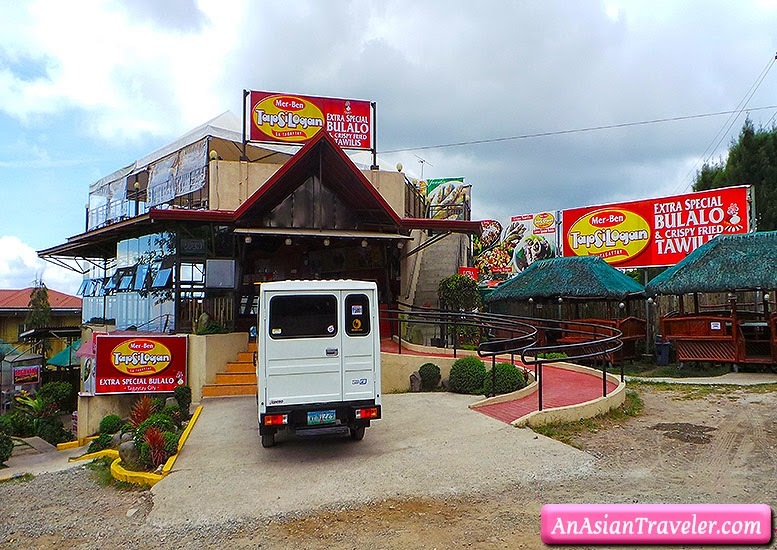 Mer-Ben Tapsilogan sa Tagaytay is definitely one of the decent places for flavorful bulalo. As for the Tapsi breakfast, it was just a simple meal. But if you're on a budget, this is a great place to try. 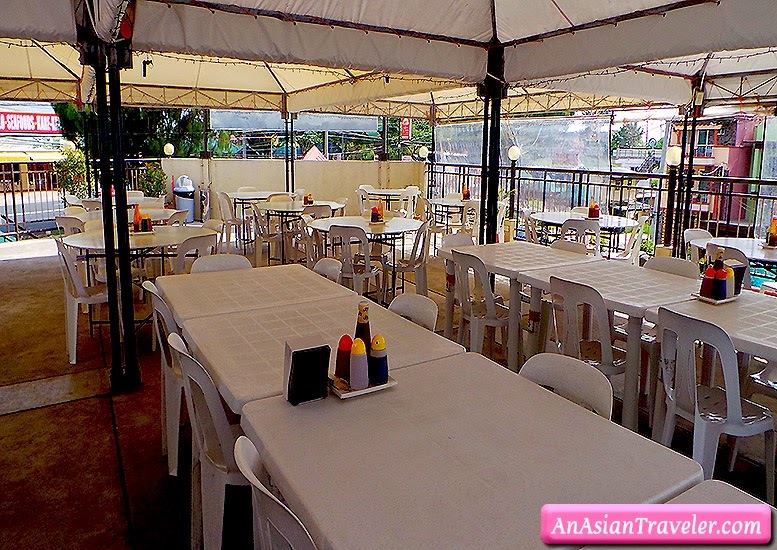 I've been meaning to try bulalo in Tagaytay, they say Leslie's offers the best bulalo. But if ever I get to try Mer Ben I'd probably order their bulalo. It's actually one of my favorite local dishes.